These days, a lot of the hype is about movies being developed based on comic books. No need to mention them, just see what’s playing theaters. Well, back in the day there were many comic books based on movies. The best examples were the Star Wars adaptations when the first Star Wars film came out that led to continuing stories past the movies. Before our mobile devices could stream/download through Netflix, iTunes, Amazon, etc. growing up back in the 70 to the 80s- the only way you can hold a hit movie in your hands were either photonovels or hand-drawn comic book adaptations, based on the movies. Part of my collection growing up then included one-shot comic book adaptation of movies. 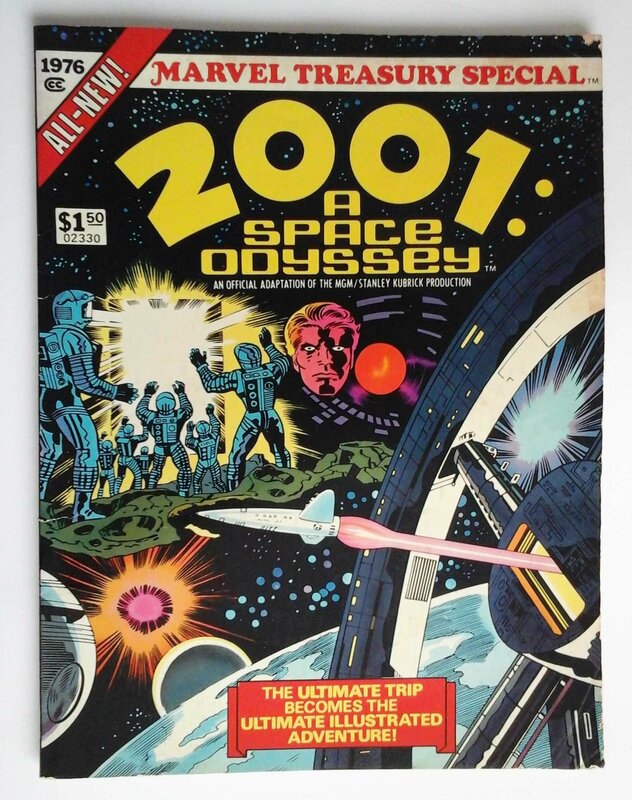 For some movies- the comic books were part of the tie-in merchandise. Some comic book adaptations were great, others not too great. If the art the subject were good, I purchased it. I’m a big fan of these well-drawn adaptations of films – even if the movie was not the best. * 2010: The Year We Make Contact– the sequel to the 2001 movie, was drawn by Tom Palmer, whom I like to think of as a really good understudy of John Buscema. Palmer took advantage of dozens of photographic references supplied to him by MGM. * Raiders of the Lost Ark– art by John Buscema, inked by Klaus Janson. Buscema was one of the founding Marvel Comics 1960s artists who took over many books after Kirby left. Janson, for those who may not know, was the inker of The Dark Knight Returns. The Raiders comic book did not have many photographic references, but it was still masterfully executed. * The Empire Strikes Back and Return of the Jedi– art by Al Williamson and Carlos Garzon. Williamson, the long time #1 Flash Gordon artist had a good partner with Garzon- tons of photo references and great storytelling that set the standard for Star Wars comics. * Blade Runner– art again by Al Williamson and Carlos Garzon. Their art was so stunning that even in black and white it stands above their competition. They also drew scenes that were in the script, but didn’t make it into the movie. * Flash Gordon (1980)– art by Al Williamson, naturally. * Batman (1989)– art by Jerry Ordway. He had tons of photo reference and has solid storytelling skills, which helped make this adaptation stand out from the rest. * The Wizard of Oz– Marvel Comics and DC Comics with art by John Buscema- I haven’t seen the movie in ages, but Busema’s art is always good and this was the first collaboration between the giant comic book companies. * Conan the Barbarian and Conan the Destroyer– Marvel Comics- art by Buscema. John Buscema was one of the greatest superhero artists, but he liked Conan more than superheroes- he did really great work on Conan comics for years, so for who would pencil the movie adaptation- Buscema was an obvious choice. 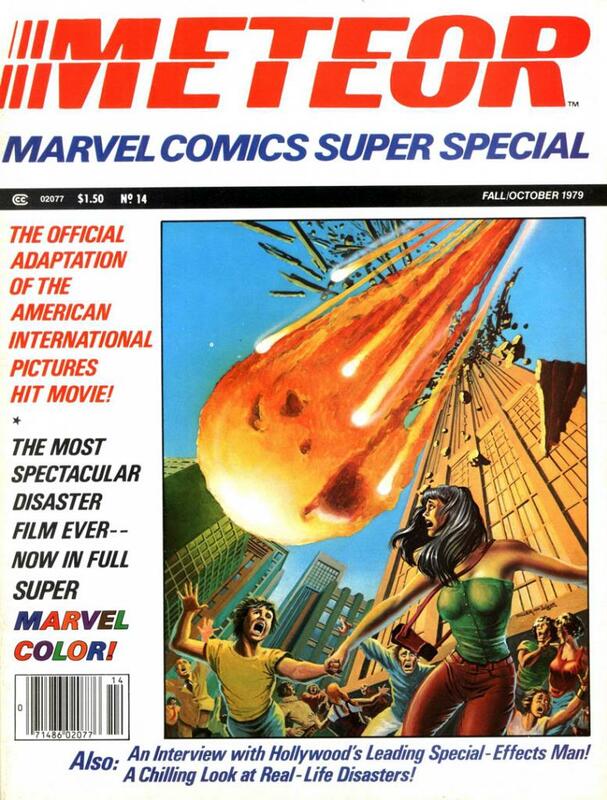 * Meteor– bad movie, even if it starred Sean Connery, but great artwork for the adaptation. Artist Gene Colan, another important Marvel 60s founding artist, had no photographic reference for the movie, but the story he was given had extra scenes that were not in the movie. * Creature from the Black Lagoon– artwork by Art Adams- the hyper detailed animated style is something you gotta see. * Bram Stoker’s Dracula– art by Mike Mignola- I’ve seen many of the Dracula movies-Bela Lugosi, Christopher Lee, Luke Evans- and although I am personally partial to Frank Langela’s 1979 Dracula with John Williams (brilliant as usual) theme song, Francis Ford Coppola’s Dracula seems more authentic to the book and Mignola was given a lot of photo references and mixed the references with his dark style to create a unique work of art. 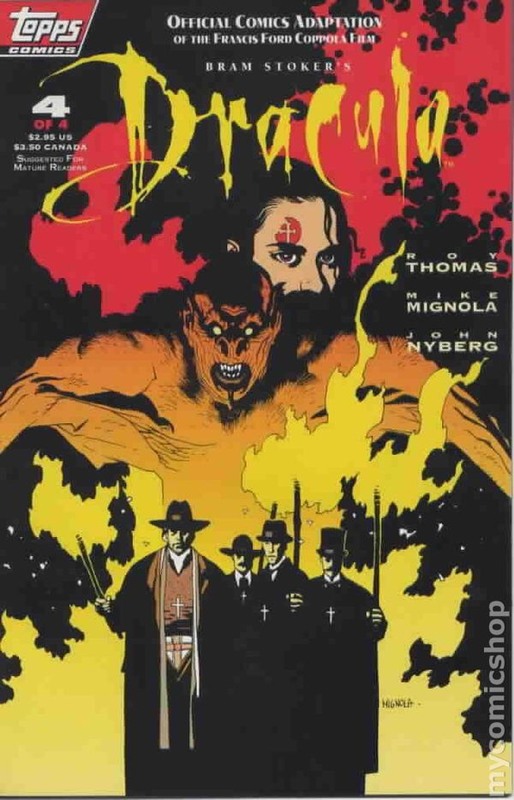 The adaptation was published by Topps usually known for trading cards and was Mignola at the top of his game. * Logan’s Run-artwork by George Perez. A few years before he became famous for his run on Teen Titans and 10 years before Crisis of Infinite Earths, you could tell George Perez was a superstar artist. This was a really good adaptation done in the Marvel Comics style. * Dune– art by Bill Sienkiewicz. If there ever was a marriage between a movie and an artist, this would be it (along with Mignola’s Dracula). The Dune movie was really weird and director David Lynch butchered the source. It was kind of hard to adapt Dune from book to movie to comic book, but Bill and his eclectic style was perfect for the comic book adaptation. Well, there it is. That’s my list and though I do enjoy iTunes and Netflix, I still enjoy traditional hand-drawn, hard copy adaptations of movies. Those early Star Wars adaptations really set the tone and standard for comic book adaptations of films back in the day. Even after all these years, they still make us look fondly on them. Indeed, they were the one’s that really brought film comic book adaptations to the forefront. 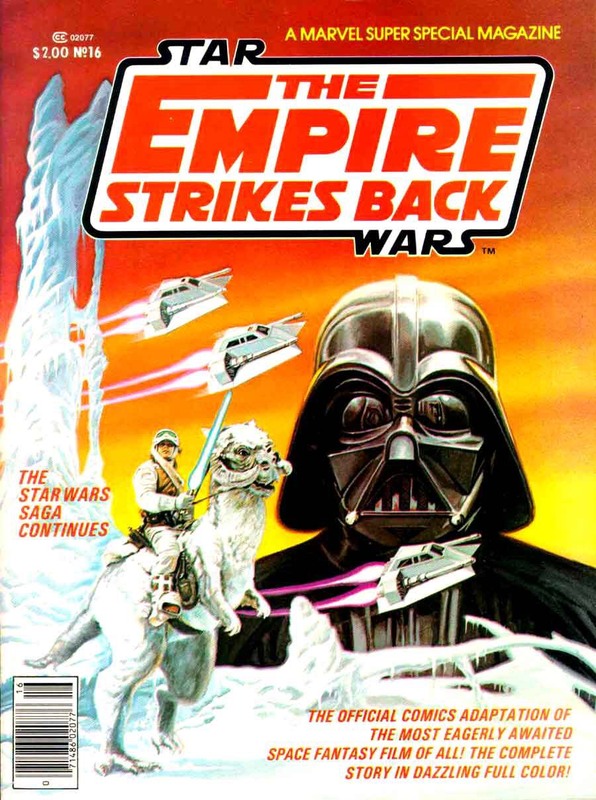 Especially with Empire Strikes Back I think, the art in that one is particularly impressive. Always enjoy revisiting them. Funny to think now the Star Wars adaptation had scenes in it we now regard as part of the Special Editions isn’t it as well? If I remember right, didn’t Empire’s comic strip feature the Wampa scene in echo base as well? Hmmm, can’t recall if that scene appeared in the adaptation. Guess we’ll have to dig up the comic to find out! Great post, there are some adaptations on there that I didn’t even know existed (I’d particularly like to check out the one for 2010). Empire Strikes Back is a good adaptation with great art, 2001 is a Kirby curiosity and I really like the Batman ’89 adaptation. I’m also particularly fond of the Star Trek movie adaptations, especially the one for the Final Frontier as it features Kirk’s pursuit by rock creatures that weren’t possible in the film. IDW’s adaptation of the 2009 film as well as that adds some of the cut scenes. Have you read Alien: the Illustrated Story? I’ve heard that’s suppose to be worth checking out. The Alien adaptation was one of the greatest ones with perfect art and captured the tone of the film. It was done in a prestige format style graphic novel which was a rarity back when it came out. It’s certainly worth hunting down. Sounds great, I’ll definitely be picking that up then.